As a lifelong resident of Sussex County, Robert Hudson expected to go to Delaware Technical Community College’s Owens Campus in Georgetown. It was close to home and easy to access, and was affordable with his fixed budget. Hudson majored in business administration technology while working as an inventory clerk. 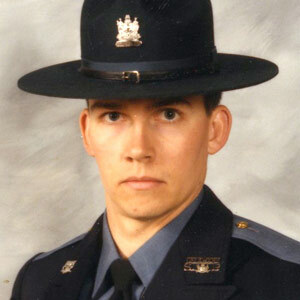 Hudson joined the Delaware State Police in 1990 and currently holds the rank of major. He has worked in operations, administration, and criminal investigations, and has worked with the statewide Homicide Unit and Office of Professional Responsibility. He has been assigned to troops 3, 4 and 7, as well as DSP headquarters. His time spent in the classrooms and halls of the Owens Campus is something Hudson will never forget. Hudson is married with four children. He is currently concluding his Master of Science in Criminal Justice from the University of Louisville.